UBR: Can you briefly tell us, readers, what your debut novel, Death’s Kiss, is about? 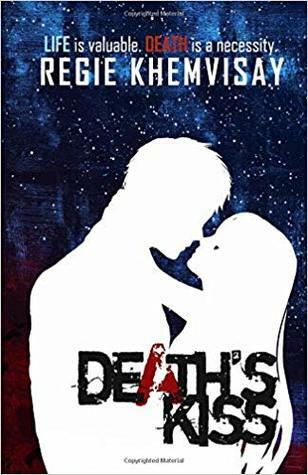 RK: Death’s Kiss is a character-driven dystopian story set 38 years later after the Blackack virus ravaged the world, killing everyone who was older than 21 years old. The story revolves around the lives of Yuri and Ryoma who now must serve the government as Aces as a payment for their parents’ treason. They find out that Yliria’s peace is paid with many lives. And as they learn more about what they must do to protect the peace and order within Yliria, they start to plot an escape from their fate in order to avoid the guilt of killing innocent blood. UBR: What were your hardest character to create and which ones were your easiest? URB: What lured you into writing a dystopian/science fiction book? RK: The two most interesting books I ever read got me writing and loving dystopian novels. It was 1984 and the Hunger Games Trilogy. I loved that these two masterpiece were not afraid to challenge society and provoke our thoughts. For me, Dystopian novels are roller coaster of emotions unlike other genres. And I like that darkness and that spark of hope in those stories. It was only natural that my debut was a dystopian and I enjoyed writing it so much because I learned a tad more about human nature. UBR: What are the three words you would use to describe your book? UBR: What inspired you to create, Death’s Kiss? RK: The idea simply came to me when I though about what happens when two lovers cannot kiss? And if they do, it will kill them. With that idea in mind, I had to put them in a society with a broken history. I had to create a virus. Then I came up with BlackJack (21) virus. Only 21 years old and younger were not infected. For that concept, I pulled it from the idea of generation wars. Old generation is saying that our new generation is bad, the morals and tradition are dying. But the new generation wouldn’t be like this if it wasn’t for the old one, wouldn’t it? So I thought what happens when I destroy the old generation, and start from scratch? UBR: What themes will readers find in your novel? RK: Many themes are hidden within the pages of Death’s Kiss. Fighting for what you believe in, duty over love, sacrifices have to be made to protect the people we care for, and the importance of finding and choosing your own path are some of the themes. UBR: What are your three tips that you would give to other writers? RK: Write it. Read more. (Join the writing community, you will learn a lot more). Believe in yourself (if you love storytelling, then do it, don’t let others tell you otherwise). UBR: What are your future plans for books, if any, that you can share with us, readers? RK: I already have played it in my mind that I am going to write bonus materials for Death’s Kiss where I tell readers the mystery of the BlackJack Virus. And as much as I loved Ryoma in the story, I also fell in love with Adam, so I will have extra content in Adam’s POV. I’m also working on two novels. I am also working on a YA fantasy/romance, hopefully I finish it this year and I am going to try traditional route this time, so let’s hope it all works out. UBR: Where can readers connect with you and find your work online? RK: Connect with me on Twitter @Rakhemvisay or Instagram @Rkhemvisay. I’m also still working on my author website, updates will be posted in my social media. Death’s Kiss is available for purchase in Amazon, Barnes and Noble, Kobo and Smashwords. Thank you Danielle for having me and thank you for all who have read and will read Death’s Kiss. Life is valuable. Death is a necessity. In Yliria, this is not a contradiction.New Year’s Eve 2054. A virus, later named the BlackJack, struck and killed 3/4 of the world’s population. Only those who were 21 and younger were not infected. Treaties broke off. Countries severed connection to the outside world. And the country of Yliria built its own invisible walls.Thirty-eight years later…Yliria is now at peace. But nothing is gained without sacrifices.Yuri’s life was perfect. Family. School. Career. Then there’s Ryoma. Her one true love. Nothing could go wrong when she has everything planned out. But on the night of their anniversary, it did not end with a kiss. Ripped from their normal lives, both Yuri and Ryoma woke up from a dream to face the real nightmares. As a punishment for their parents’ treason, they must serve the government—the System—as the new Aces of the Court Department, assigned to oversee and maintain the peace and balance during the weekly shuffle.One week. 13 lives. Armed, not with a weapon, but the same virus that destroyed the world. The Aces must escape their new fate. If not, the only path left in their future is the one covered in blood. Death’s Kiss by Regie Khemvisay is a new dystopian/science fiction fantasy novel. 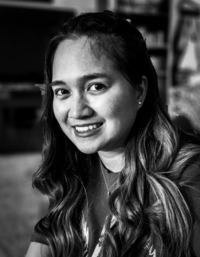 I enjoyed the dark edgy vibe that Regie Khemvisay brought to her book. It at first gave the impression of a Juliet and Romeo kind of romance but with a dystopian sci-fi twist. You have to young lovers who are being punished by their parents. Similar to the Romeo & Juliet story line. I loved it. However, the names had me scratching my head a bit. Because at first, I was like are these two girls in love? The cover showed me what looked to be a guy and a girl. So after reading, I found out the cover was right all along. Yay! It just felt weird because the name for the guy should have been something more masculine. Because it was a tid bit confusing when reading his name every time. In the back of the book, I found out why the characters’ name were like they were. I recommend readers to read the novel to find the answer. So, this young couple are in love and now, they are doomed. Right? Well, the creative plotline had me guessing all the way to the end. I wasn’t sure which way it would turn. The characters had this innocent happily in love thing. I enjoyed that deep connection they have. The ending was epic! I felt my heart breaking for the protagonists. But at the same time, I felt hope, too. Overall, Death’s Kiss by Regie Khemvisay is one outstanding read. I recommend it to all. It was a pleasure being in this blog. Thanks Danielle!